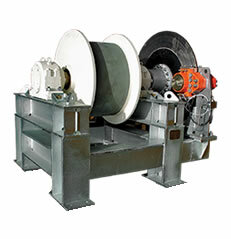 These winch is one of take-up solution that performs keeping the belt tensioned, and being used for maintenance operation. 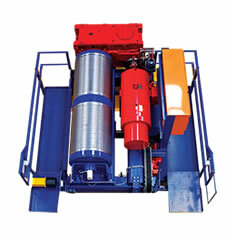 Automatic take-up winch can be considered as the flexible application due to the easy installation and easy handling as the winch operates without take-up tower. 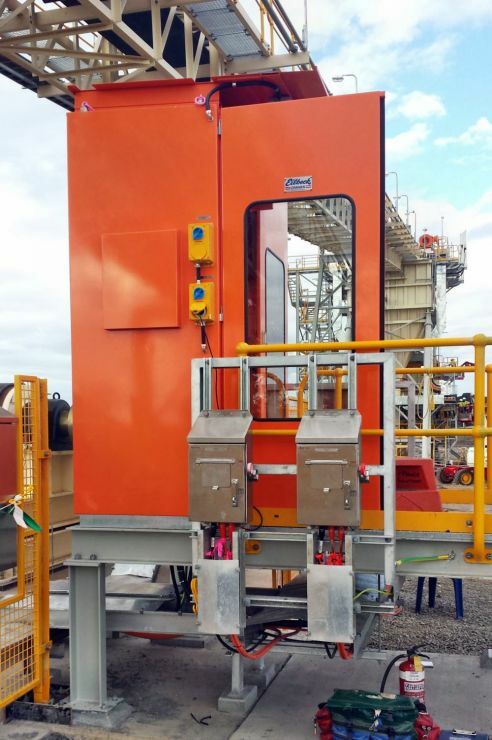 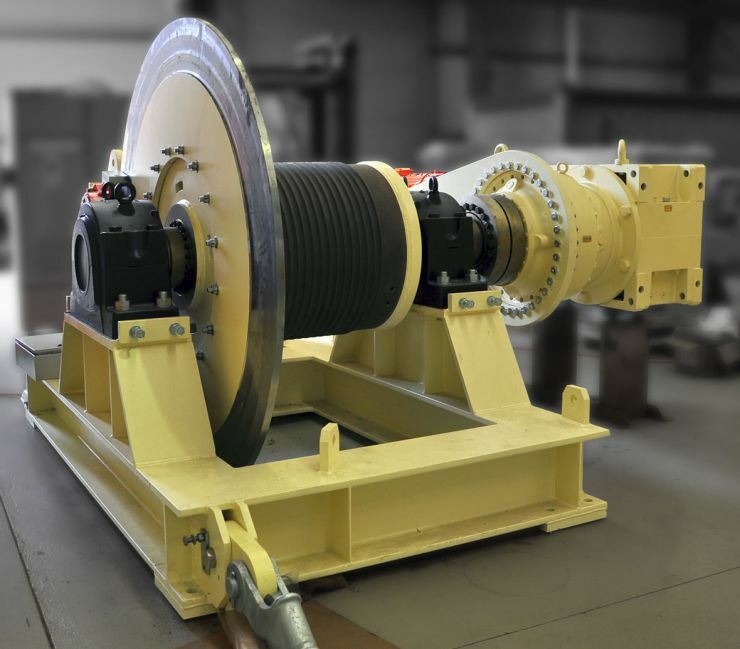 The rope will directly connect to the conveyor trolley through the set of sheaves from the winch tensioning the belt with tension monitoring and controlling system. 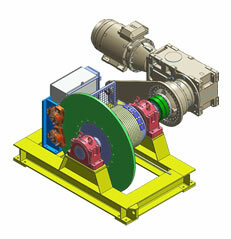 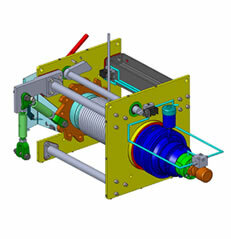 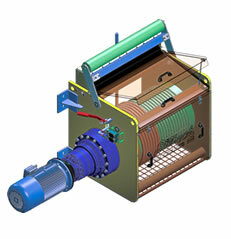 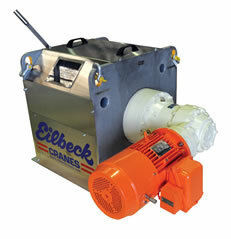 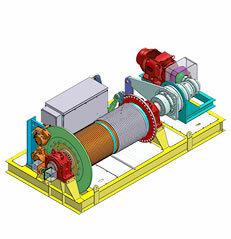 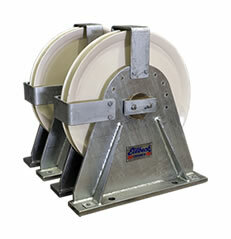 Highly engineered, high performance winch capable of operating at high torques in dusty and corrosive environment. 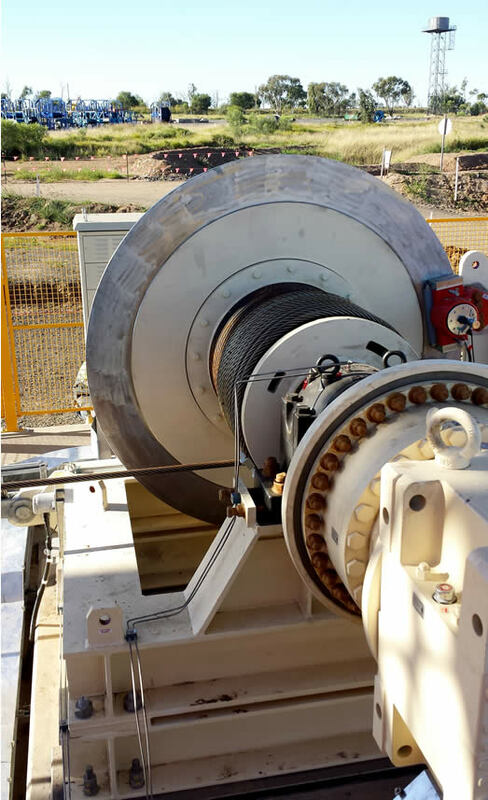 Winch shall maintain and monitor the rope's tension for compliance with running/starting/stopping operational belt tensions.